I look forward to coming back to this image one day and congratulating myself for how far I’ve come. Still, I have to say, despite noseless Odysseus and alien baby Telemachos and any of the other flaws, I liked thinking about how to put this together. Let’s break this down a little. First panel: “Your father never wanted to go.” Close-up on Telemachos, as he looks down over the island. When I’m a better artist, he’ll have a much more emotive face. He’s frustrated, bitter and resigned to doing nothing about the suitors overrunning his home and courting his unwilling mother. He’s certain his father is dead, and the rest of his family has given up too. His grandfather, Laertes, a king himself, spends his days ragged and sad on his farm, far away from everything. His grandmother, Anticleia, died of grief while her son was away. His mother, Penelope, spends her days in her room, sleeping, crying or weaving. Telemachos lives his life bullied, thinking he deserves better but without the confidence to make that happen himself. Second panel: “But he did.” A view of the empty harbor. That blotch to the left is supposed to be the town. Ithaka is a society with virtually no men of age left. All the able fighters left with Odysseus for Troy, and are lost. All the nobles of the area are laying siege to Penelope’s bower, and are young themselves. I’m still trying to decide who is narrating these panels, whether it’s Penelope, who may blame her son, just a little, for their circumstance, or Eurykleia, Telemachos’ nursemaid, a slave who basically reared him and loves him dearly. 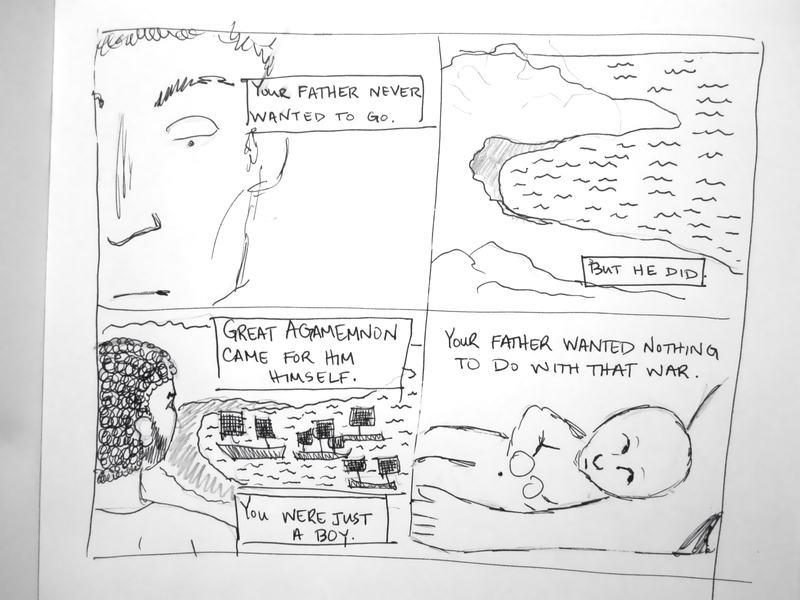 Third panel: “Great Agamemnon came for him himself. You were just a boy.” Flashback to Odysseus atop the same hill, spotting the black ships of Agamemnon, High King of Mycenae and brother to Menelaus, Helen’s cuckolded husband. Fourth panel: “Your father wanted nothing to do with that war.” Baby Telemachos cradled in a woman’s arms. He looks like a prop from The X-Files; sorry about that. I had already inked it before I thought of a way to represent him as a toddler (holding onto a woman’s skirts, or leaning against a woman’s legs), which is, from what I remember, more approximately the age he is when Odysseus leaves. 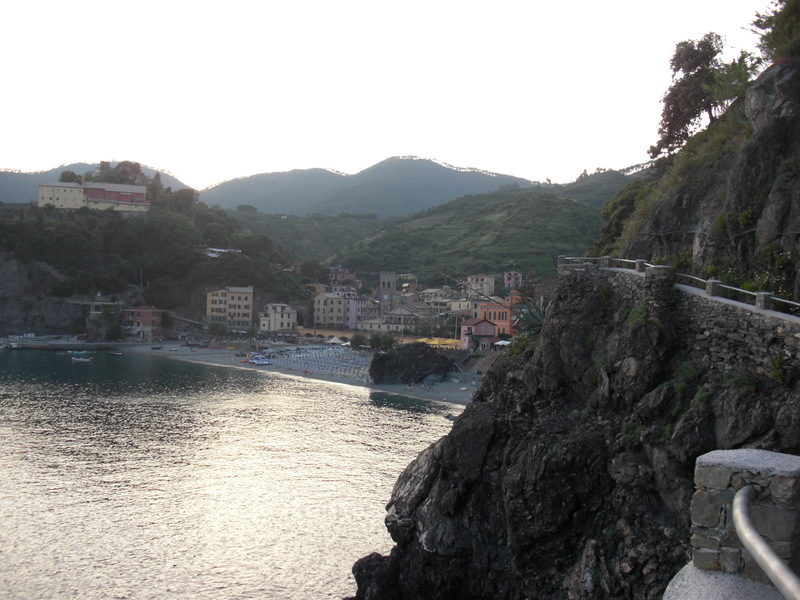 Last summer I took a trip to the Mediterranean. We didn’t get to Greece, sadly, though we did fly over it (I saw the Acropolis from the air!). 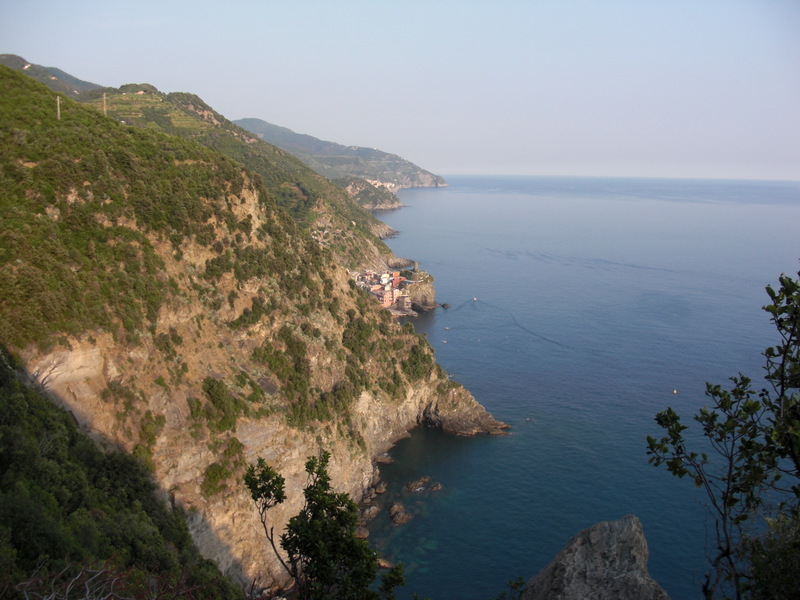 One of the highlights of the trip, and, if I’m honest, of my life so far, was hiking the trails through Cinque Terre, a series of cliffside villages in the Liguria region of northwest Italy. It’s not an exact match for Ithaka, but as I think on it now, some of the essentials are there. I can't help but approve of this. 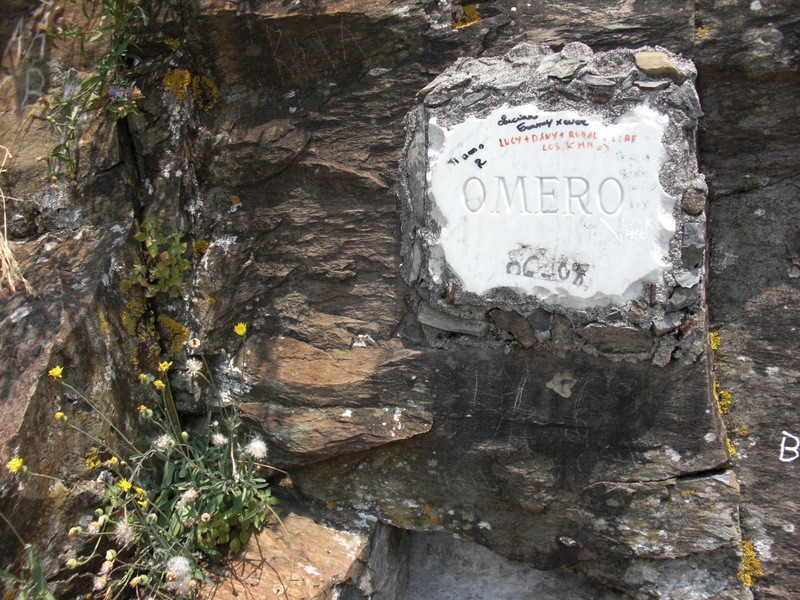 From the Lovers' Walk, the easiest (and first) bit of the trail. Of course there's a spot for my guy Homer. He's my dead Greek boyfriend from time out of mind. 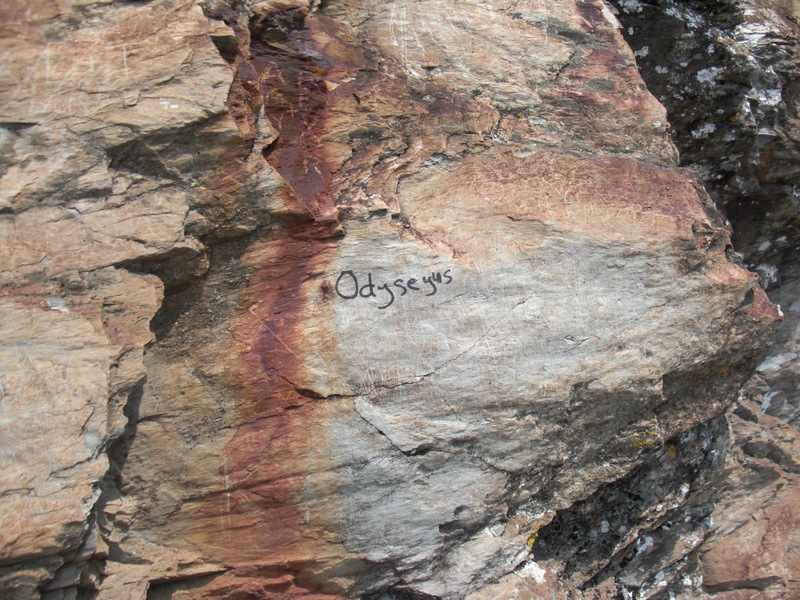 It would figure that someone would scrawl Odysseus' name right on the rock, unofficially. We also made it to the Vatican on that trip. This bust of Homer is gorgeous in person. 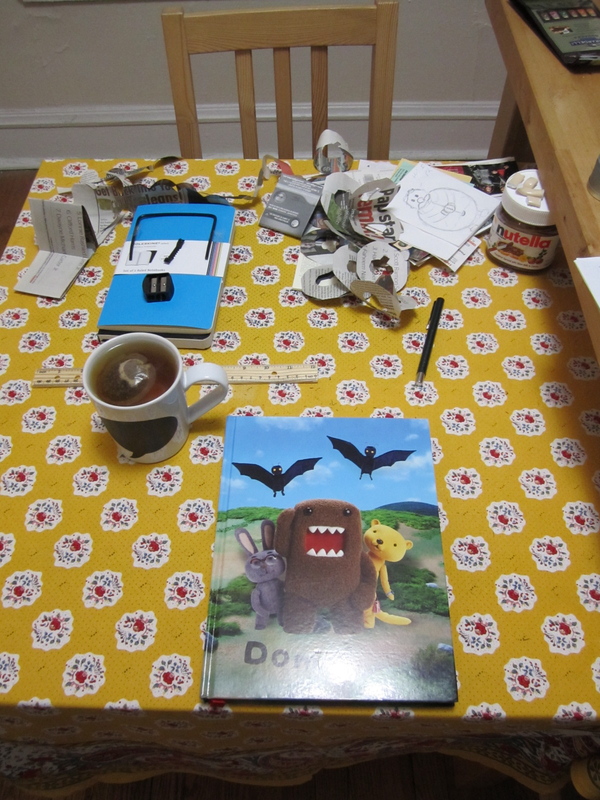 This post brought to you from my very serious business work space and incredibly highbrow new Domo-kun notebook. It is a response to This item will give you talent! 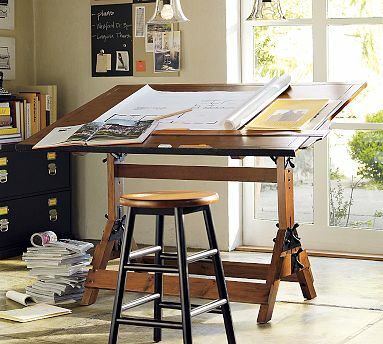 Now you see why I’m craving (though needlessly) a drafting table. This item will give you talent! One day, all this could be yours. Most of the tabs I have open right now are for drafting tables. I am not allowed to have one, but I can’t stop myself. Looking at drafting tables gives me wild, extravagant dreams of using drafting tables, and these days I have one ambition above all: I want to draw comics. Not just any comic. I want the comic that is the movie I will never get to make. I want the comic about Telemachos, the son of Odysseus and Penelope, who I feel has always gotten short shrift from others who love the Odyssey. I can see it all now: it’ll be so good! Gunnerkrigg Court good! Dare I say it? Sandman good! I have devoted years of my life to this story already, and maybe, just maybe, having all the stuff one uses to make a comic will enable me to churn it out myself. There’s a snag, of course. I have no experience either writing or drawing comics, and supplies do not an artist make. Not all is lost, though. I do have one thing on my side: I love this story more than I can possibly say, and I think loving the story will compel me to learn how to tell it in a new medium. When I think about it, this has already been the case in my life. I was introduced to the Odyssey when I was 7 years old. We were on a family car trip, and my mom got the audiobook from the library. I was enthralled from the get-go. The Odyssey is an oral poem, meant to be heard more than read, and I was introduced in the best possible way. When we got to the end of the tapes, I promptly asked to hear the first cassette again. I wound up renewing the audiobook so much that the Athens Public Library banned me from borrowing it, and my parents had to buy it for me. Two things happened. 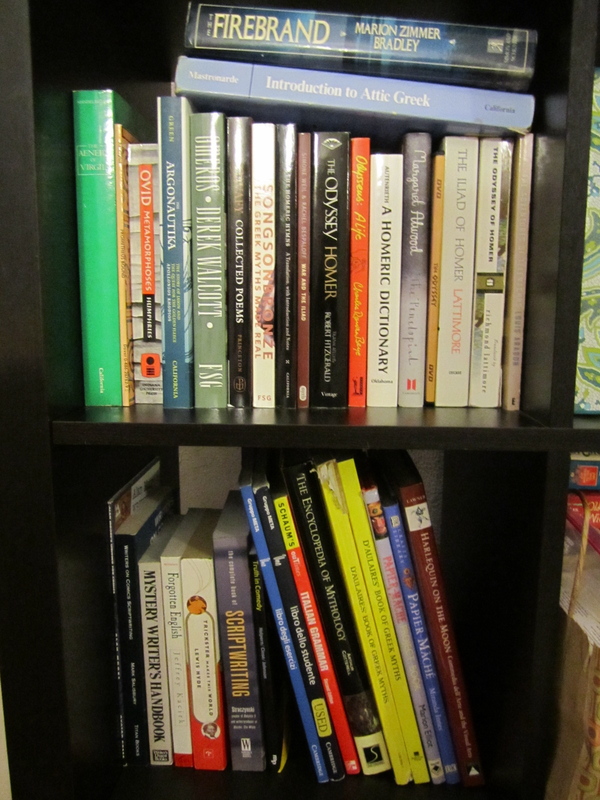 I began seeking out other books related to Homeric epics and Greek myth, and I began writing my own related stories. Hardly a day passed when I didn’t have my nose in D’Aulaires’ Book of Greek Myths or Black Ships Before Troy or The Firebrand, Marion Zimmer Bradley’s feminist take on the Iliad. This last I must have read two or three times a year from the time I was 8 until I was a teen. Meanwhile, I was working on my first chapter book. I had been writing little stories since I could type, and making them up since I was much younger. Theatride’s Odyssey was my own sequel, in which the goddess Athena gives a long-lost daughter of Odysseus a magic ring. The ring enables Theatride to turn into any animal she wants, and will aid her in her quest to defeat a far-off tyrant. The Odyssey was also my gateway into academia. It’s the reason I got into my major at school (we called them concentrations), and I wrote my junior paper, the equivalent of a senior thesis, on Telemachos and why he is both a worthy successor to Odysseus and his own person within the poem. My junior paper remains the hardest I’ve ever worked on a piece of nonfiction. I had never bothered as much as I should have with things like revisions and multiple drafts, so on a technical level, my advisor demanded much more than me just coasting by. Trying to please her made my writing much better, but it was in conversation with her that I truly learned how to analyze and argue. I remain incredibly proud of my junior paper. As I reread it recently, I found myself missing that kind of rigorous engagement. If Homer becomes the reason I go to graduate school, I will laugh. 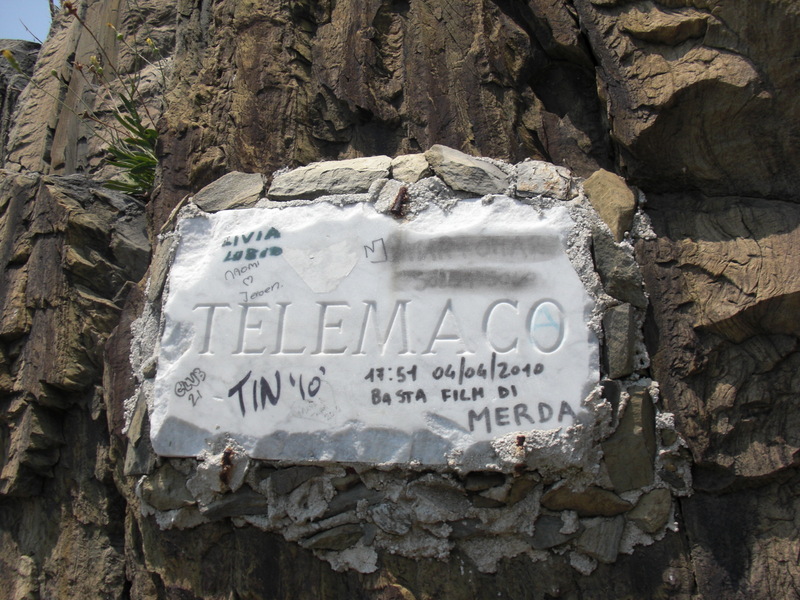 Telemachos gets me where I live. His story has always been the one that’s moved me most. Odysseus and Penelope may speak to me more when I’m older, but Telemachos is the child of two famous parents who has yet to define himself. He must take control of his actions and his place in society, and he must leave home to do it. Over the course of the poem, we watch him grow up tremendously, and when the poem ends, he is faced with enormous ethical and political questions, not to mention adjusting to a life with his absent father at home. There is nothing dull about him to me, and I am champing at the bit to share that with other people. Two weeks ago, I wasn’t nearly this passionate. But, as the Homeric poet might say, the god intervened. As I was walking up Broadway with a friend, I spotted the spine of a familiar book on a sidewalk sale cart. 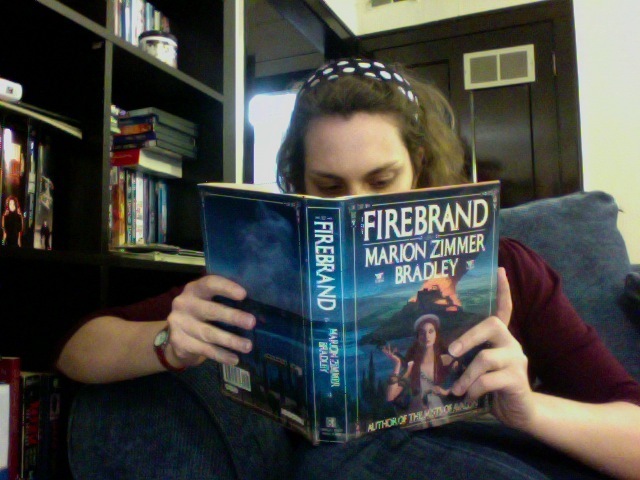 It was The Firebrand, which I hadn’t read since I was 12 or 13. I had exact cash in my wallet. I was doomed from the start. Rereading The Firebrand has been an experience, and a story for another time. I still see why I loved it, and I also catch things that went over my head as a kid. This was the first time I’d encountered a transformative account of the Trojan War, one that didn’t take all the heroics and myth at face value. Achilles is a petulant, amoral brat; Odysseus is a low-class pirate; centaurs are just wild men on horses, and women rule their city-states as Queens with upstart consorts. Our narrator is Kassandra, daughter of Priam and Hecuba, whose prophesies of disaster always come true and are never heeded. At one point, Odysseus relates how he was conscripted into war against Troy. 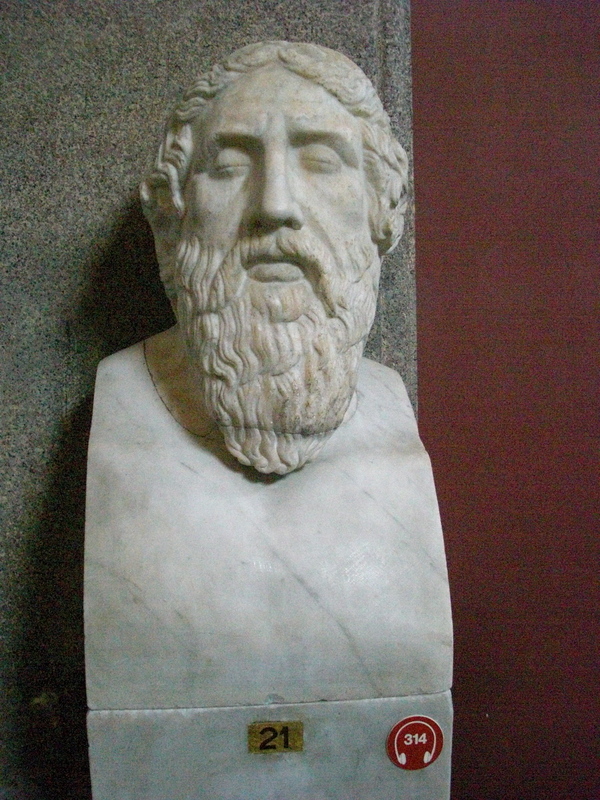 Agamemnon, the king of Mycenae himself, came to Ithaka to fetch him. Rather than leave his wife and young son for a war he wanted no part of, Odysseus feigned madness. He dressed in rags, harnessed an ox and began plowing a field in crooked, erratic lines. Agamemnon was brought to see proof of Odysseus’s unfitness for himself. But he was no fool either: he scooped up toddler Telemachos and set him in the path of his father’s ox. 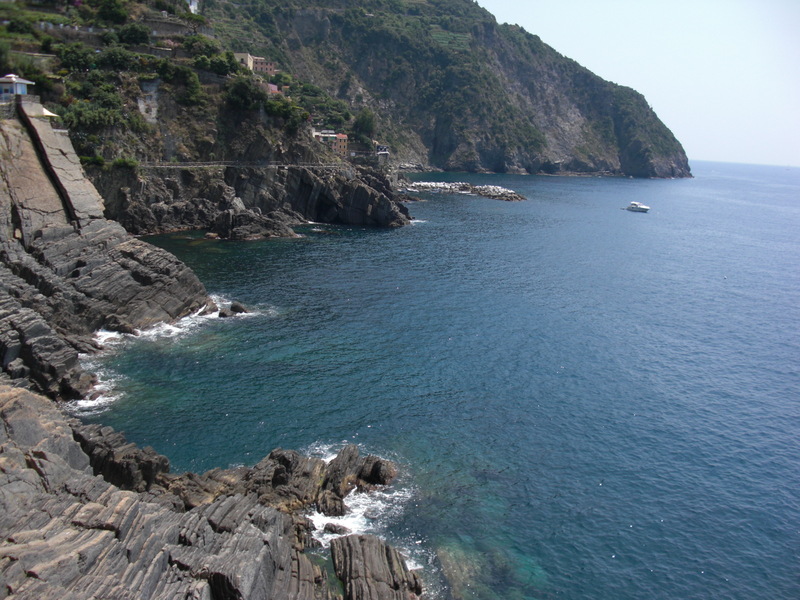 Odysseus had no choice but to swerve, proving him sound of mind. He left for Troy that very day. Wow, I thought as I read this, what an opening shot. It was totally involuntary. That was the moment it seized me, this need to make this story into a comic, which wouldn’t require all that a filmed version would. The next weekend I found myself in a Border’s liquidation sale, shelling out for huge sketchbooks and a truly lucky find, Drawing Words and Writing Pictures, a fabulous textbook for a comics-making course. It’s reading through this that’s made me want a drafting table. I’m dreaming now of t-squares and Ames Lettering Guides. But I’m holding myself back, and not just because I need that money to eat and do laundry. There’s no sense in buying all the supplies before I know I’m going to use them. I hope this isn’t just a flash in the pan, but I have to earn these things with a lot of practice and a lot of mistakes before I invest in them. Even the storytelling, something I have a lot of practice doing, will need some adjusting as I figure out this new form. If I can make drawing and lettering and panels and ink a regular part of my life, if it becomes something I will do consistently, then maybe we can talk materials. First step: closing these tabs and breaking out some pencils. I’ve got this, though, cheesy as it might sound. I love this story. Hopefully, when I’m finished, so might you.